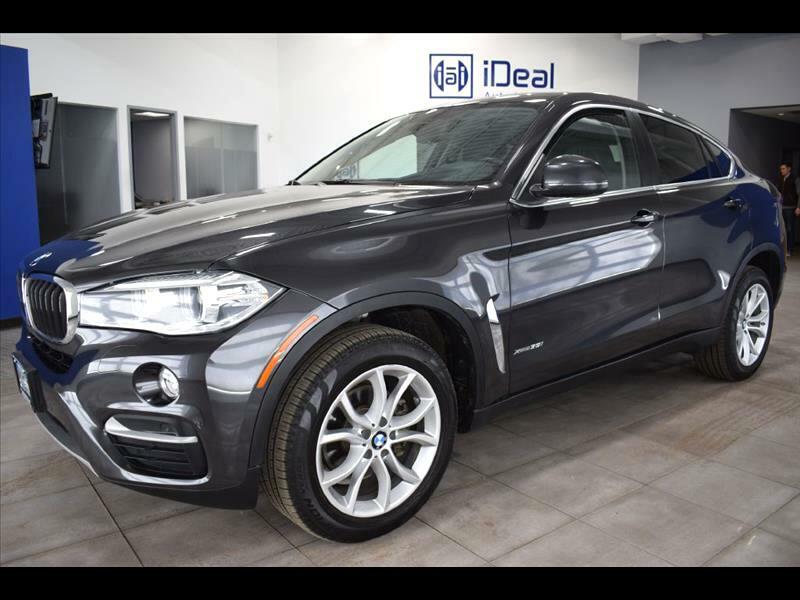 1-Owner 2016 BMW X6 xDrive35i loaded with Blind-Spot Alert; Driver Assistance Plus; Driver Assistance Pkg; Cold Weather Pkg; Premium Pkg; harman/kardon Sound; Heated Front/Rear Seats/Steering Wheel; Head-Up Display; Surround View Camera; Navigation System; Moon Roof. Like-new tires. Dark Graphite metallic exterior with Black Dakota Leather. MSRP $70,770. Additional Extended Warranty Available. Easy Financing. iDeal Auto Imports, meeting your auto needs with quality and value! Indoor auto showroom. We specialize in import auto sales since 2010. Conveniently located at 7980 Wallace Road. Eden Prairie, MN 55344, we offer a desirable mix of quality used import cars at competitive price. All of our vehicles are stored indoors, fully inspected, come with a free carfax report and backed up with powertrain warranty. Visit us online at www.idealautoimports.com to see more pictures of this vehicle.